I spent the last 12 days in Bangkok updating and rewriting this blog! It was such a beautiful and inspiring time and i am grateful for every minute. I got inspired by this amazing city and the great people i met! After working almost 7 hours every day to finalize the content – i am finally ready to share what I’ve experienced and learned since October last year, when my travels started. It was so good to take some time off and reflect what had happened the last couple of months. A lot has changed in my life and i hope by reading this blog, it might inspire you as well, to think about certain things and to make a change! the 300h Yoga Teacher Training in Chiang Mai! I am really excited to go back to the Ashram and to study for the next 6 weeks. I’ll keep you updated and share KNOWLEDGE ABOUT AYURVEDA and Yoga Philosophy. Oh my gosh – i am so excited for this feature.. This map showS my BELOVED FAVORITE places in Bangkok! It is made by me and when you click on it you can see several different locations and and spots all over Bangkok! You can save the map into your google account and use it when you are there! For my big birthday there was only one wish and one present i really wanted! – Spending some time in Bangkok and having a great holiday with my dad and sister! Their final destination, after visiting me in Australia, was Thailand and so i booked me in and joined them on the 22nd of march on my favorite island in the world : Phi Phi Island! We had such a fantastic time, snorkeling and relaxing in the sun. A few days later i packed my bags and went to Bangkok where i ended up in the greatest hostel i have ever stayed at. Yim Yam Hostel & Garden is located at Ratachatewi in the center of Bangkok, almost next to MBK. It has nice quiet rooms, is super clean and has a great relaxed atmosphere. I felt like finding a diamond in the city and knew the moment i entered this place i will come back here for years and years! was the DJI Osmo Mobile (stabilizer) and i started filming every loved corner in Bangkok. When i was leaving Thailand, with all the great footage i had shot, i recognized filming had become an addictive passion for me and i wanted to film more to share it on Youtube. Not for promotional reasons but just to say thank you! 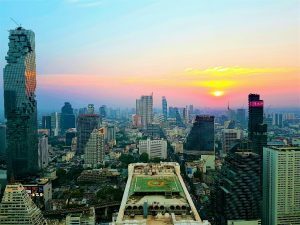 I RECOMMEND TO STAY CLOSE TO SUKHUMVIT – ONE OF THE MAIN ROADS OF BANGKOK. PROBABLY BEST BETWEEN THE STATIONS PHROM PHONG AND SIAM. THERE YOU CAN ALWAYS TAKE THE BTS, WALK OR TAKE A TAXI. The best hostel i have stayed at in asia so far is Yim Yam Hostel & Garden! It has the perfect location, 800 m from MBK at Phya Thai BTS Station. BUT THE PLACE THAT TOUCHES ME THE MOST IS A LITTLE OUTSIDE BANGKOK, CALLEd RAMKHAMHAENG. YOU CAN STAY THERE VERY CHEAP, quiet and beautiful in a place called @home or JJ Residence. Me and my friends have stayed there in our semester abroad but they also provide rooms on a daily basis. Unfortunately iT tAKES pretty LONG TO GO TO THE CITY CENTER.
! May Veggie Home ! START AT THE ARABIC QUARTER (TELL THE TAXI DRIVER TO STOP CLOSE TO BUMRUNGRAD HOSIPITAL OR BTS STATION ASOKE) AND WALK DOWN TO SUKHUMVIT SOI 11. BEST TIME IS AT AROUND 6 PM. YOU CAN HAVE DINNER AT GABBAGES & CONDOMS AND TAKE DRINKS AFTER IN A VERY NICE BAR CALLED NEST AROUND THE CORNER FROM ONE OF MY FAVOURITE CLUBS LEVELS ON SUKHUMVIT SOI 11. AFTERWARDS I WOULD RECOMMEND YOU TO FOLLOW THE STREET JUST ACROSS AND GO UP TO THE BEAUTIFUL SKYBAR ABOVE 11 IN THE FRASER BUILDING ON THE RIGHT. THEN YOU SHOULD GO TO LEVELS AND DANCE A LITTLE AND AFTERWARDS TAKE A FREE RIDE TO MIXX. 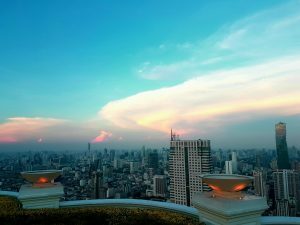 Also just a couple of minutes down the street in this Area (but a must see at night) is Banyan Tree Hotel and their Skybar Vertigo..
the most breath taking view over Bangkok! After the stunning views you can go back to the BTS Station Sala Daeng and next to the bts station is a branch of wine connection with excellent food for lunch or dinner. a little further on the right side of the street you will reach Patpong ! Its A GREAT NIGHT MARKET SURROUNDED BY RED LIGHT DISTRICT, where you can buy the best fake gadgets in Bangkok. (Opens at 5 pm). in 63. Floor .. BETTER KNOWN AS HANGOVER Bar from the Movie. It iS A VERY IMPRESSIVE AND SPECIAL PLACE AND IF YOU GET THE CHANCE YOU SHOULD DEFINITELY GO THERE TO WATCH THE SUNSET! (opens at 6pm) So either Do Patpong quickly or visit the night market afterwards. JUST ACROSS THE STREET from Lebua sTATE tOWER you'll FIND A magical, CRAZY Bar and Restaurant - DEFINITELY worth VISIT: MAGGIE CHOO’s! Also the Area around Lebua State Tower is just amazing! The clash of cultures and mix of impressions are unforgettable! 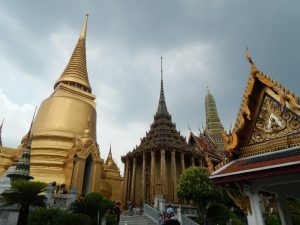 TAKE THE BTS TO SAPHAN TAKSIN (Same Area as described before around lebua state tower) AND TAKE THE BOAT THERE FOR 15 BATH and drive on the beautiful chao phraya river up TO great GRAND PALACE. AFTERWARDS YOU SHOULD ALSO VISIT WAT PHO, THE HISTORIC TEMPLE NEXT TO THE KINGS PALACE AND GET A FOOt MASSAGE. FROM THERE YOU WALK TO THE HABOUR AND CROSS THE RIVER by boat TO THE OTHER SIDE AND VISIT GREAT WAt ARUN. FROM THERE YOU TAKE A BOAT TO STATION PHRA ATHIT AND WALK DOWN TO KHAOSAN ROAD AND HAVE A GREAT NIGHT OUT! dinner-MUST @Magic max, my friend and great magician! we finally made it and landed in the most beautiful and exciting City in the world: Bangkok !!! after a Long goodbye tour in Germany we enjoyed our first massage and Thai Food lunch in Ramkhamhaeng and @SUKHUMVIT SOI 11. 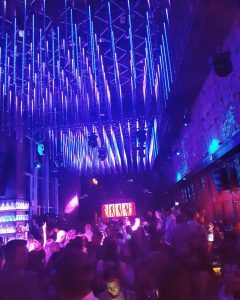 We checked-in at the beautiful Galleria 10 sukhumvit bangkok and had a fantastic night out at our favourit Club cé la vie. oNCE AGAIN I REALIZED – HOW SPECIAL AND MAGICAL THIS CITY IS AND HOW BEAUTIFUL THE PEOPLE AND THEIR ENERGY IS. 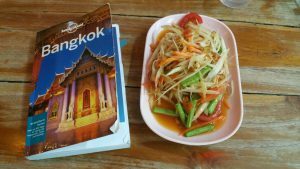 That inspired me to list all amazing places i have been to so far in Bangkok and sahre it with you! Maybe you also get a Little inspired and hopefully get the Chance to visit my beloved places! Next stop is cambodia 🙂 see ya ! on the 10th of octobeR my new adventure starts in thailand! Hope to take you all with me! and absolutely fell in love with the city & with Asia ! 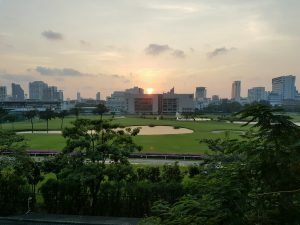 I traveled to many asian countries and KNEW that one day i would have to come back and live in this exotic, hectic and beautiful part of the world. i will always come back, to study, walking the streets of Bangkok and stay connected to these amazingly friendly and beautiful people!